Alnwick Gardens Northumberland is an amazing place and what better way to view it than from above. We were recently invited along to Alnwick Gardens to capture aerial videography and photography to show the blossoming of the beautiful Cherry Orchards Trees, also known as the Japanese Tai Haku Cherry Blossom. Alnwick Gardens Northumberland is an amazing place and what better way to view it than from above. 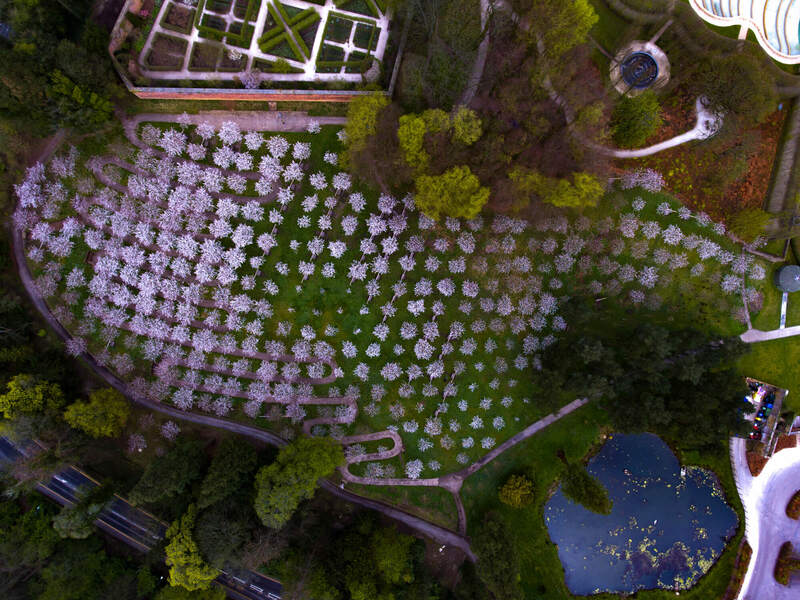 We were recently invited along to Alnwick Gardens to capture aerial videography and photography to capture the blossoming of the Cherry Orchards Trees, also known as the Japanese Tai Haku Cherry Blossom. Alnwick Gardens currently have over 350 Cherry Orchards, which is the largest in the entire world, meaning that using our fantastic drone technology, we were able to capture the stunning view from above. You only have 2 to 3 week window to be able to view this beautiful spectacle. We set off at 06:30 for an early start as we had to be at Alnwick Gardens in Northumberland travelling from South Shields for 08:00. 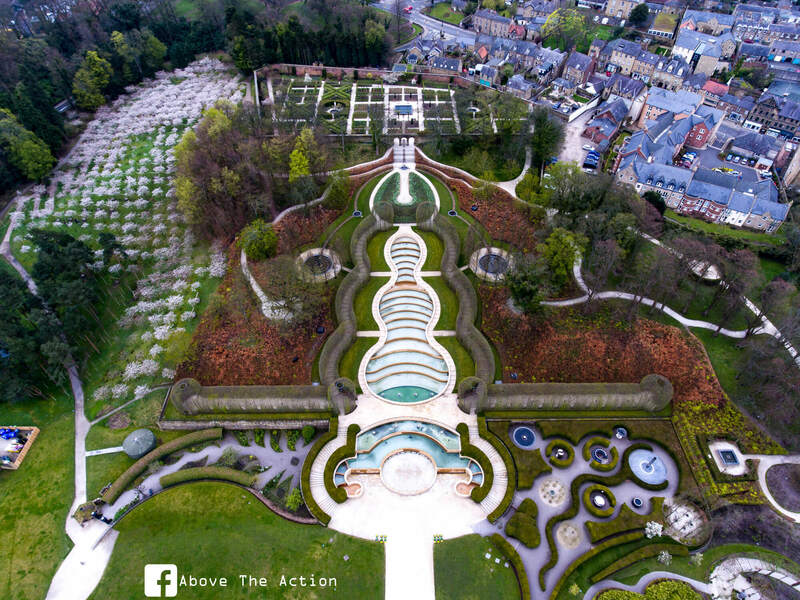 Above The Action were lucky enough to have the entire Alnwick Gardens to ourselves and it was opened early for us to fly our drone safely. You can learn more about a flying drone safely by clicking here. Once we arrived on-site, it was time to do an inspection of the gardens and run some test flights to ensure we captured the best footage. Take your business to a whole new level with the help of Above The Action – the North East’s leading video marketing, aerial film and production specialist.